Drunken Master II or The Legend of the Drunken Master, as it was released stateside, is one of Jackie Chan's finest films and an example of what happens when kung-fu, comedy, and a well-written story are combined into something truly magical. The film follows Jackie as Wong Fei-hung who must stop a group of foreigners who are hell-bent on stealing precious antiques from the Chinese countryside. 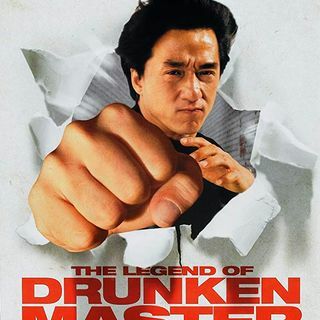 The Projection Booth's Mike White joins Chris to talk a whole bunch of drunken fighting ... See More moves, a climax for the ages, and the best Jackie Chan movie of the month. As always, you can follow Chris Stachiw at @KultureStach, Eric Kniss at @tychomagnetics and Kulture Shocked at @KultureShocked. The music is an original track from Eric Kniss of Wovoka. You can also subscribe to the Kulturecast on iTunes here. Also, don’t forget to check out our official Facebook page for news, upcoming reviews, contests, and new content along with our Patreon page.